With summer approaching, today’s biggest stars like Beyonce, Taylor Swift, U2 and the Foo Fighters are gearing up to go on tour. The music industry is expected to bring in over $10 billion this year. That number is projected to continually rise over the next three years. Given that people are willing to spend extra money for their favorite artists, here are some different angles to cover when reporting on concerts. With the threat of terrorism and mass shootings, concert security is a major concern. Usually tour promoters and the venue where the event is held are responsible for getting the security for concerts. The cost of armed and unarmed security guards can be estimated on thumbtack. Outdoor music festivals and concerts make security costs and liabilities even more expensive, now to the point where promoters don’t want to risk it, says Kevin Lyman, founder of the Van Warped Tour, in this billboard story about concert security. Whenever big stadium tours like Bruno Mars, or T-Swift come to town, a great story to report on can be ticket sales. Over the years new audio and visual technology allow stars to push their creativity to the limits. This along with other reasons, like stars wanting to pocket more of the profit brought average ticket prices from $25 in 1990 to nearly $80 today. On the higher end of things there are the mega stars like Beyonce, whose average ticket price of her 2016 Lemonade tour was $176. It may be worth investigating why some of the lowest priced tickets for a concert is $80. How are ticket prices affecting local fans and their decision to attend a show? Wanderu did a study finding what ticket prices average in different regions. You see scalpers selling tickets outside of events and holding up signs searching for people in need of tickets. Ticket scalping is legal in Arizona, which means if you’re outside Talking Stick Resort Arena and see scalpers, they’re allowed to be there. Some people think scalping improves the welfare of concert goers, but a 2007 study done by the Federal Trade Commission was inconclusive on whether that is true. Check on the laws in your state. Doing a story on a veteran ticker scalper, or a group of scalpers can be a great way to tell a story that doesn’t get told often. Are extremely high prices on the primary market a way to deter scalpers and brokers? A good investigative piece would be figuring out the total annual loss in ticket revenue that the music industry faces to the secondary market sales. In December 2016 President Obama signed into law a bill that would make it illegal for bots to dodge security measures on websites in order to buy up tickets and resale them. The Better Online Ticket Sales act, or BOTS, is designed to target people who have super computer programs and systems that allow them to make mass purchases of tickets at once. 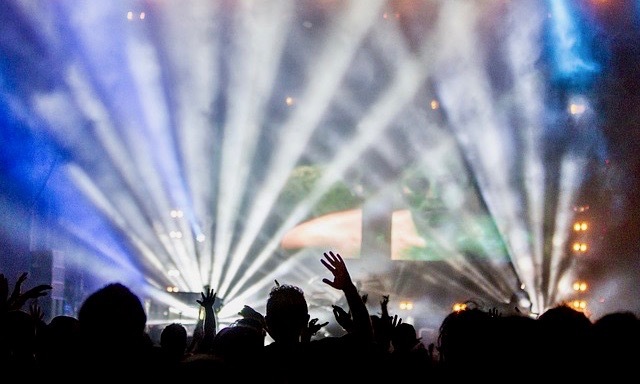 Business journalists can use large or medium sized concert events that are high in demand to investigate whether this legislation has helped the sale of tickets on the primary market. More fun business stories can be done on the rigs that acts lug around the country. When U2 came to town with their 360 tour, you could expect them to bring over 30 semi-trucks filled with steel trusses, sound, lighting and video equipment. This colossal rig is said to be almost 30 million in U.S. dollars. More equipment for bigger experiences can drive up the price of concerts. Stage directors love to brag about the size and amount of equipment their show has. With the right connection, it could make for a great story.